The time is now to get outside and start focusing on your garden! 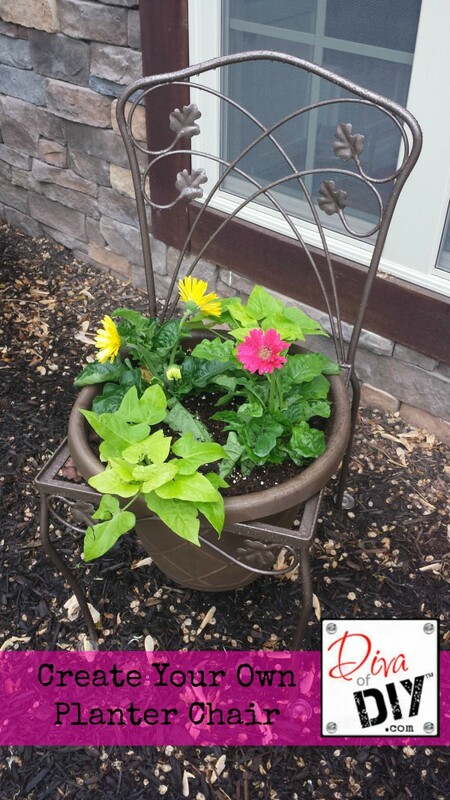 The DIVA of DIY, Leanne Lee shows you how to bring some fun and life back into a old iron chair… make a planter chair ! So if you’ve been Thrift Store Shopping chances are you’ve seen random chairs at the back of the store. While you have your typical rocking chairs and recliners there’s these lonely old chairs that were once in a happy home and have their own story to tell. 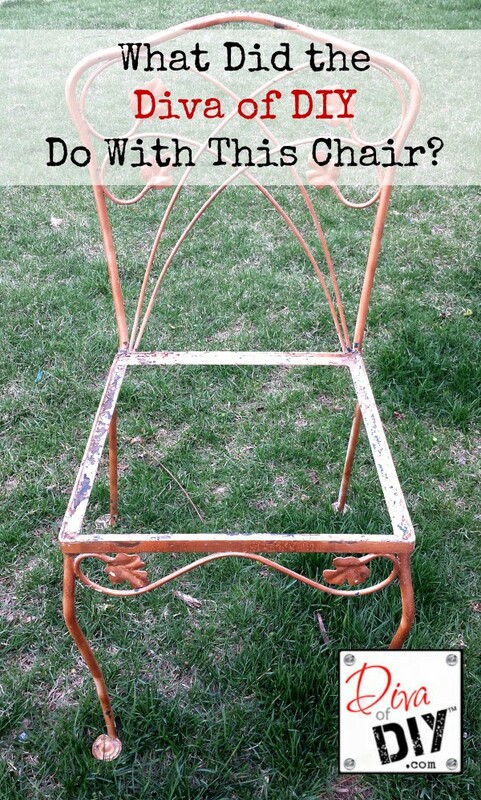 This iron chair has a story to tell and I had to grab it so it would tell a story at my house! So when I saw this iron chair I thought about using a piece of plywood and using some foam and a nice outdoor fabric to set on my porch. However, once I got it home I had it in the driveway and pressure washed it. As it was sitting next to my empty flower bed I knew it had to stay there. So instead of the typical boring old flower pot I created my own with the iron chair. Let’s get started so you can recreate your very own. 1) Remove cushion or seat of chair. It is usually attached with 4-6 screws from the bottom. If cutting a hole in the seat of a wooden chair, measure the pot you are using and cut a hole in the center using a jigsaw. 4) Insert pot into planter. Fill with flowers!!! 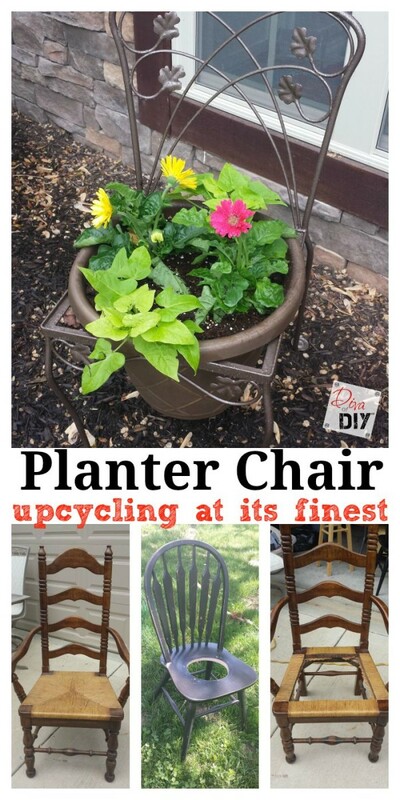 This DIY Planter Chair is really pretty easy. It’s all left to your imagination and how creative you want to become. I’ve got a few other planter ideas up my sleeve that I’ll be sharing with you later this week!